ECO is a new Presbyterian denomination formed in January, 2012. The mission of ECO is to build flourishing churches that make disciples of Jesus Christ. Almost all ECO churches were members of the PC(USA) who desired to live more faithfully under the authority of God’s word. Many of the churches that FHPC had long-term relationships with are now ECO or are considering becoming ECO congregations. Our styles of worship and our liturgy will not change. 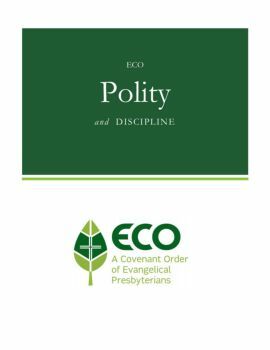 ECO is a thoroughly Presbyterian denomination steeped in the reformed tradition. We have include information and links below. What does this mean for Fountain Hills Presbyterian Church? Joining ECO provides a foundation for Biblical faithfulness. ECO has established very clear, historic essential tenets that align with the beliefs of our congregation. ECO provides a community of other Presbyterian churches with whom we can participate for mutual encouragement and support. Joining ECO allows us to continue to be the church God has called us to be, leave aside doctrinal disputes, and to get back to the Great Commission: making disciples of Jesus Christ. Joining ECO is really an extension of what FHPC has been doing over all of our years. Together, we have the great opportunity to embrace where the Spirit is leading Fountain Hills Presbyterian Church, and press on to the upward call in Christ Jesus. Click Understanding ECO to view the slides used in this presentation. FHPC SESSION is glad to be recommending this growing new denomination.